At 10 a.m. on Wednesday, students poured out of the doors at Park City High School. With signs in hand, they sat on the pavement in the empty bus lane and joined the throng. Soon after, chants of "Not one more" filled the air as they listened to the words of their fellow classmates. The walkout, which took place in conjunction with similar events across the nation, was centered on demanding stricter gun control. It took place on the one-month anniversary of the shooting at Marjory Stoneman Douglas High School in Parkland, Florida, in which 17 people were killed. 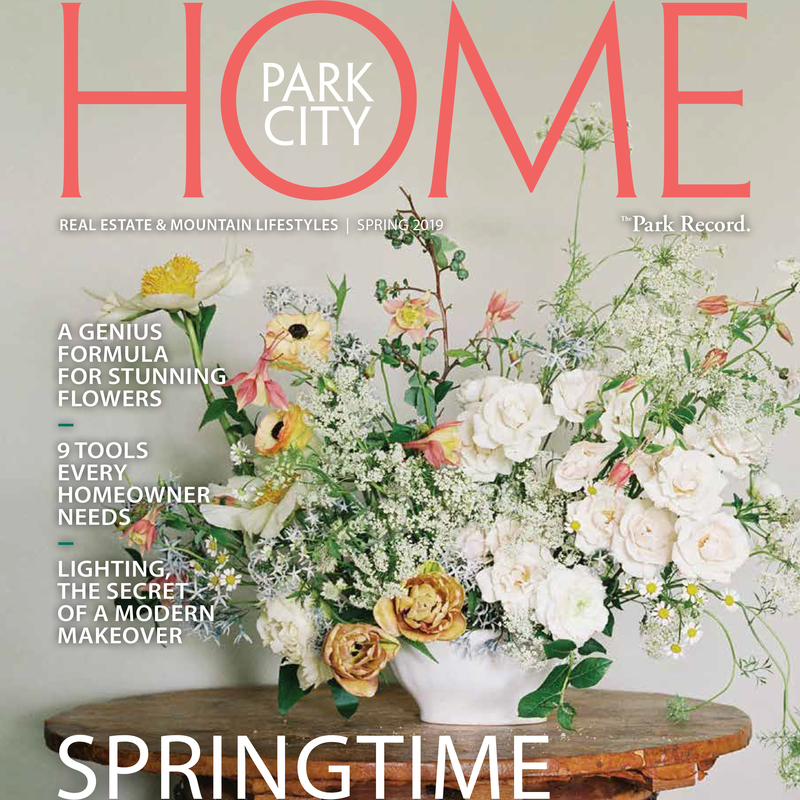 There were an estimated 350 to 400 students who participated at Park City High and 300 at Treasure Mountain Junior High. School officials estimated that there were about 600 students at Ecker Hill Middle School. A small group of community members also gathered at the high school. As students situated themselves, Faith Staley, a senior who helped organize the event, stepped atop a chair and lifted a megaphone. "We are the ones we've been waiting for," she said to the crowd. "We refuse to live in a place where our officials do nothing while our fellow Americans are killed in schools, in churches, at concerts, at bars, in movie theaters." She was followed by student after student who gave speeches, read poems and encouraged those in attendance to write to local representatives and demand stricter control on the purchase of guns. Kacie Silkey, a senior, began her speech by pointing questions at elected officials such as, "How are there more guns in this country than people?" and "Why do you care more about man's right to own a weapon than my right to not be murdered?" Following the event, Silkey said that she was empowered speaking to her peers, who supported her words with cheers. "I feel like this is going to change everything," she said. "It felt so surreal that we are actually out here making a difference and making a change." To close the walkout, Olivia Henry, a senior, read the dates and number of deaths of the 17 deadliest mass shootings in the U.S. Her voice shook as she spoke of the 2012 Sandy Hook Elementary shooting in Newtown, Connecticut,and the recent Parkland shooting. "There have been 22 shootings so far at schools in 2018," she said. "That is not OK."
Staley said that the event turned out even better than she imagined. Originally, the students planned on only reading information about the 17 deadliest shootings in the U.S. during the 17 minutes they were outside the school to honor the 17 deaths in Parkland, Florida, but they decided to open the event to anyone who wanted to speak. Seven students jumped on the opportunity and prepared speeches the night before. Staley said that standing in solidarity with her classmates who organized the event motivated her to keep speaking out. "It reminded me that we are the change. We are the ones going out into this world and we are going to change it," she said. "Our kids are not going to have to do this. Our neighbors are not going to have to do this. We are going to change things." She said that she hopes other students walk away empowered as well, so that they will write to elected officials and register to vote. Representatives from the voter registration group Voterise planned to visit the school Thursday to help students register. A small group of students at North Summit High School and South Summit High School also participated in their own versions of the walkout. At North Summit High, 36 students walked out and gathered by the flag pole, said Katie Chappell, a secretary at the school. They stood in silence for 17 minutes then listened as a few students spoke about the shooting in Florida and the possibility of mass shootings continuing to take place at schools across the nation. They also addressed the need for stricter gun control. Shad Stevens, vice principal of South Summit High School, said about 25 students left their classrooms to gather in the lunch area for 17 minutes of silence. 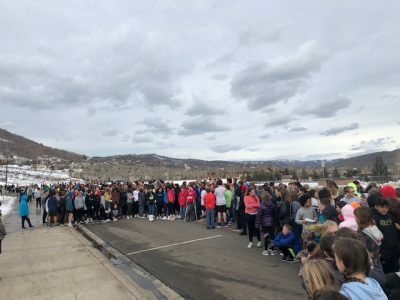 The principal, Wade Woolstenhulme, announced a moment of silence earlier in the day and encouraged students to "walk up" to others and be kind rather than participate in a walkout. There were no reports of students at any participating schools being penalized for their protests.